The first exhibition was a huge success, over 8 months attracting over one million people to the eight hectares of exhibitions. The cultural, industrial and technological achievements of more than 30 nations were proudly displayed to a public thirsting for information and new ideas. A second exhibition took place in 1888 when the Melbourne Centennial Exhibition was held to promote the centenary of European settlement in Australia . Since then the building has hosted a wide variety of local, national and international events but the most important of these was the opening of the first Commonwealth Parliament of Australia on 9 May 1901, by the Duke of Cornwall and York, the heir to the throne. More than 10 000 guests were present, including politicians, naval and military officers, judges, consuls, mayors and clergy. The building was again the location for a special sitting of Parliament during the 2001 Centenary of Federation celebrations. Today, the Royal Exhibition Building flourishes as one of the world's oldest and largest exhibition pavilions, symbolising the great 19th century international exhibition movement. On 1 July 2004, it became the first building in Australia to win World Heritage listing. With its meticulously restored opulent interior, expansive galleries and soaring dome, the Great Hall offers a magnificent setting for trade shows, fairs and cultural and community events. The north facade of the building is visible again for the first time in many years, following the demolition of the 20th century annexes. Today it hosts exhibitions, fairs and shows throughout the year along with hosting launches, exams and private events. 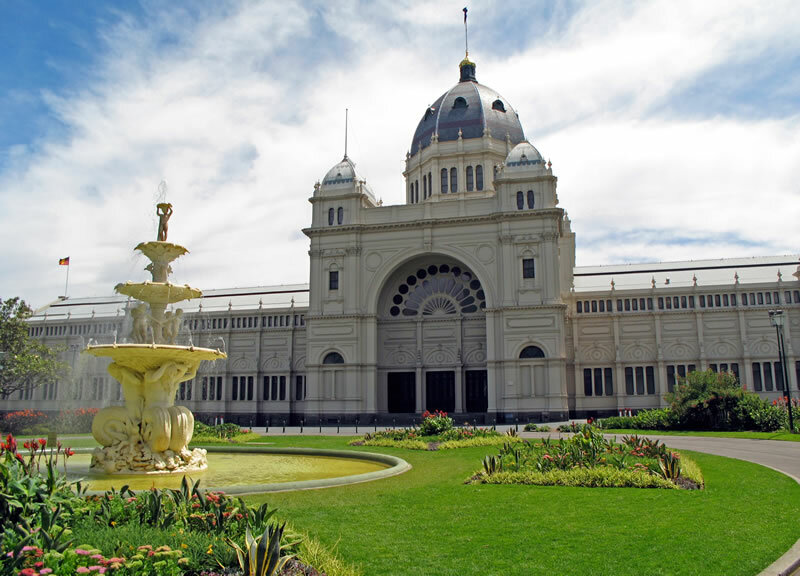 The Royal Exhibition Building is located just north of Melbourne's CBD, next to the Melbourne Museum in Carlton Gardens. Plan your trip using Metlink's Journey Planner.